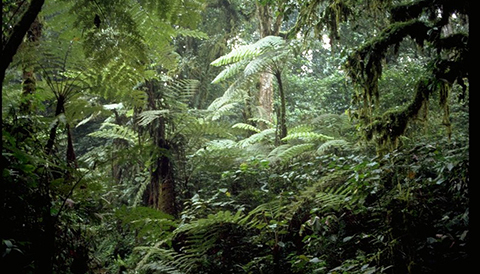 Mabira forest is one of the remaining Uganda tropical rain forests that are under threat of deforestation; however, recently the forest is flourishing with an increase in tourism development in the country. Contact us to book this 1 Day Mabira Forest Tour. You will be picked by our driver guide from your hotel accommodation after having your morning breakfast and drive along Kampala Jinja highway via Mukono which is roughly a 2 hours drive with a pan ranking view of the farm yards along the way to the forest headquarters at Najjembe where you will be briefed before you head for a nature walk. The local guide will later take you through a forest walk whereby he will be explaining to you difference wildlife and plant species you meet along the trails. Later, after nature walk, you head for lunch and drive back to Kampala reaching in the late evening. The 1 Day Mabira Forest Tour package excludes expenses of personal nature like: Air fare, Visa, drinks, laundry, tips to local guides, telephone, porter fee while trekking, personal insurance, personal shopping bills and cigars.